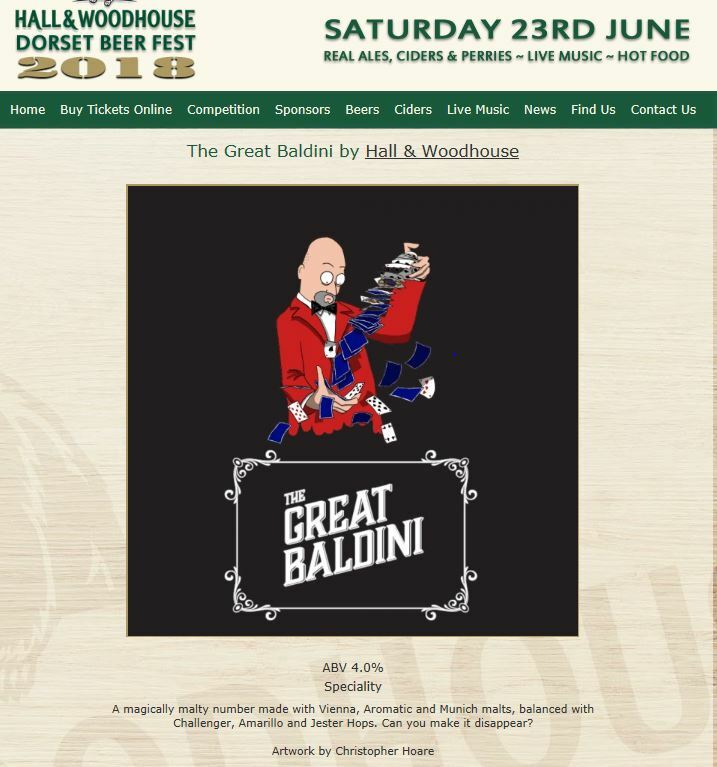 Christopher Hoare’s fantastic Great Baldini cartoon has been used to create the pump clip for the Great Baldini Beer – MagicWhat an honour: the 2018 Dorset Beer Festival (Blandford, Dorset, 23rd June) has named a guest beer after the Great Baldini – meeeeeeeee!!!!!!! I will naturally grace the festival with my presence and perform magic throughout the day. I imagine I will be quaffing quite a few pints of Great Baldini! A fine head, great character – pure magic.